Posted by Alex Raymond in planetkde-alexraymond. But that’s about to change. It was given to me the task to adopt a quite special orphan app, known as PlasMate. Long abandoned, it is a very interesting project to work on, and it has not received the attention it deserves. So, there’s no better way to learn more than to rewrite a good piece of code! 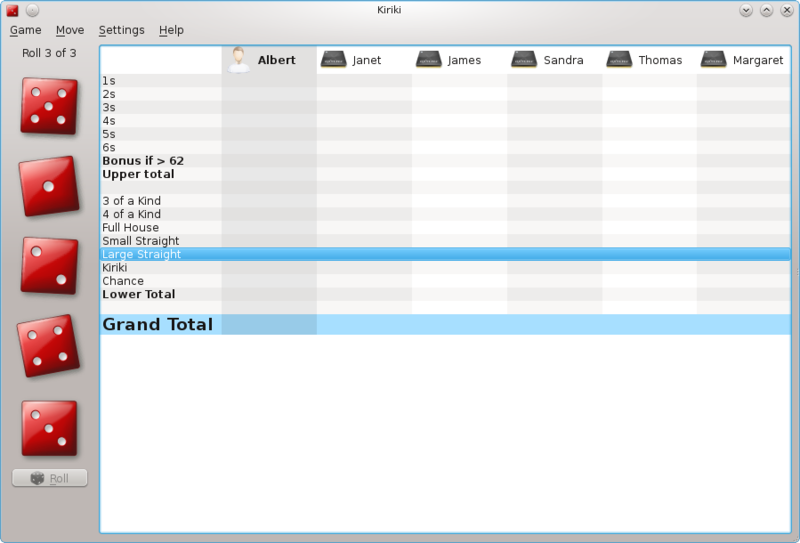 Mr. aseigo kindly pointed out what needs to be done or re-done, and I’m right now working on revamping the UI: the old toolbox was thrown away and the functionalities were separated in KActions. Some of the original widgets are going to be rethought of and rebuilt as well, such as the file list widget. What do you think of PlasMate and what would you change in it? And in a couple of weeks later an university from the same State Made a really nice panel about an introductory class on Multimedia Art. I will leave them here by now… and start thinking about other thing… When we, the fellow KDE guardians of truth and justice sweat our asses of creating a Festival ( and that’s, by the way, not easy at all ) it’s really common to the universities, insitutions or what ever, tried to dismiss everything that we did and takes the whole work as if it were theirs, three examples. KDE-MG team and Ubuntu UAI did the First FSL-BH in september 2009, I was there to help them. I see how they worked hard on it. And in the end, the institution made a panel “FSL-BH proudly presented to you by ESP-BH”. WHAT? not even one word about the guys that actually made de event? Hello ESP, you just lend us the local to use for the event, nothing more. you are a collaborator, not the creator. KDE-MG team and Ubuntu-UAI did the second FSL-BH in november 2009, I was not there to help them this time, but the same thing happened. 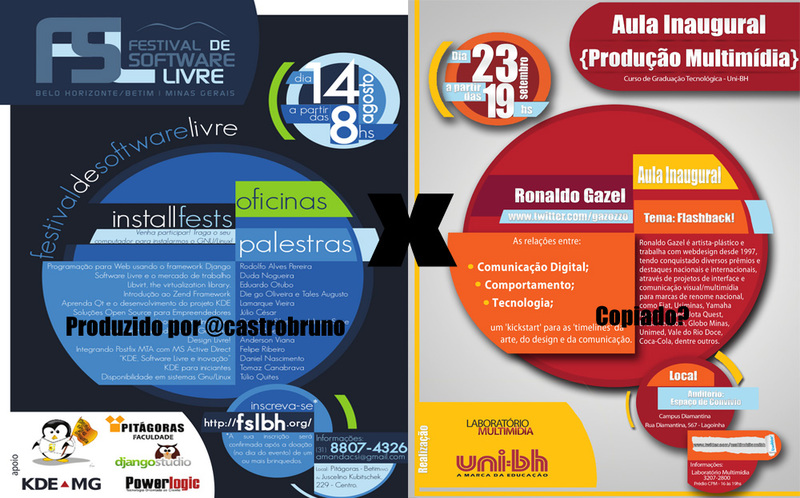 “II FSL-BH proudly presented to you by ﻿UNA-BH”, HELLO? ( in portuguese, the annoucement, here. as you can see, not a word about KDE-MG or Ubuntu-UAI were given in the annoucement, tsc. KDE-MG and Open Source Betim did the III FSL-BH, and as usual someone tried to get the intelectual property of them. This is sad, really, you should be universities, trying to make the world a better place and showing that you are a place to create minds, build thinkers, and not try to get something that you didn’t did as yours. Posted by Romário Rios in planetkde-luizromario. ﻿This feature was developed some months ago, intended to ship with SC 4.5. But I unfortunately lost the freeze deadline, so it ended up being postponed. 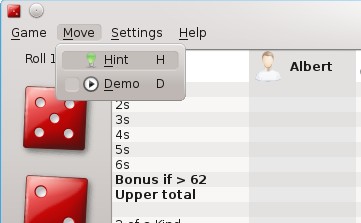 Anyway, after creating a demo for Kiriki, I started working on the hint feature, very common in another games. In this case, I used Kiriki’s AI itself to give the hint, asking it how would it play and, then, showing it to the used instead of actually playing. There it is, the hint action. 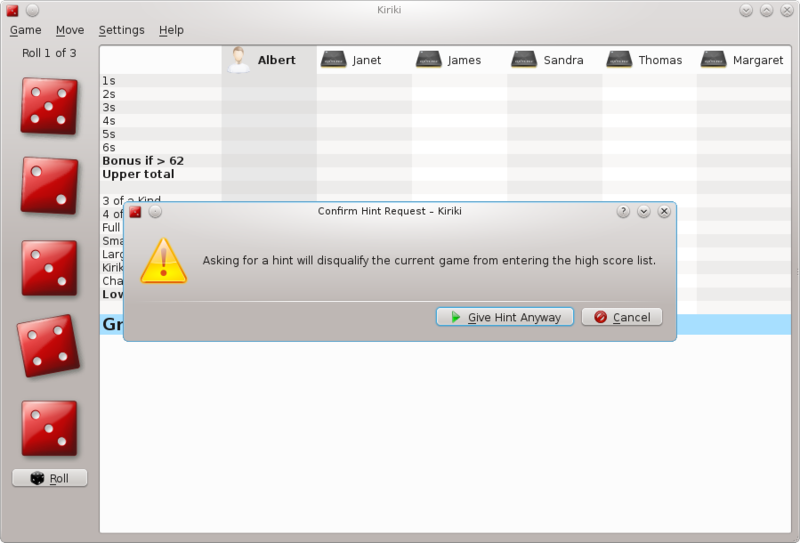 Dialog warning that you won’t make it into the high score list if you take a hint. 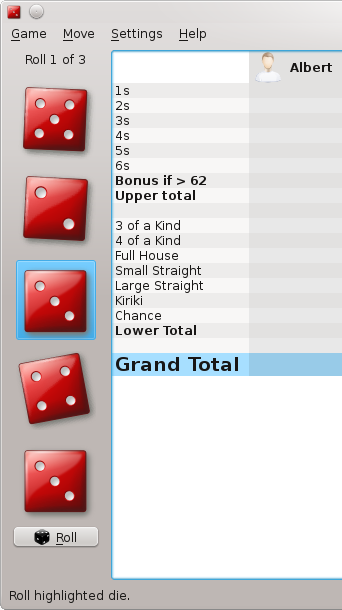 …and here’s a hint for which row to select. That’s it. If you want to test it, take the patch here and apply it. Thanks to everyone who helped me. I lost it, but it doesn’t mean that I don’t want it back. It’s been a strange new world for me as an KDAB employee, helping KDE in my free time, and still trying to take over the world and mentoring one indian, one greek, and three brazilians in the world of KDE. And if you, my dear reader, remembers, I’m also a (not-that-good) stage actor and addicted to brazilian culture. And I lost my focus. I need to concentrate more in one thing instead of doing three or four at the same time, so I will quit the three things that were messing up my time: Mafia Wars, World of Warcraft and Pottery. Maybe I’ve become an old man with white beard, white hair and a bold top, but I don’t want to do ten things at once anymore, I want to do two, maximun three. and do those well done. Thanks for your time to read this sorry-for-not-being-focused message.